This stitched collage, the breeze, is an art quilt in shades of orange, peach and golden yellow featuring a red-winged blackbird. The bird is perched on a branch with book page leaves. 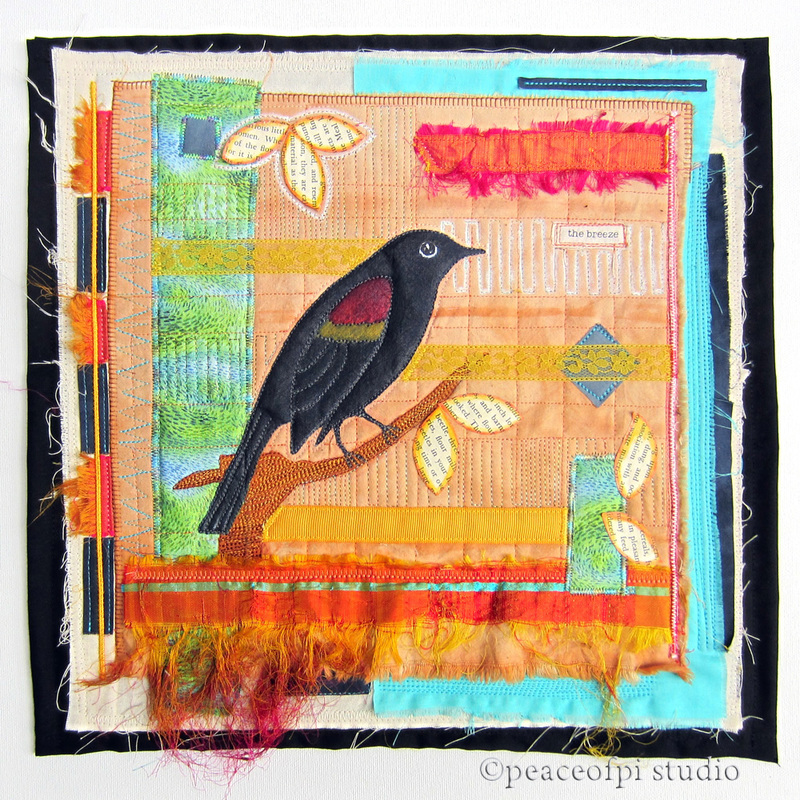 He is surrounded by fabric and fibers - the various bits of ephemera making up the collage that serves as this sweet bird's breezy habitat.